Thank you to Bread from Queer Little Family for nominating me for this award. Bread and I met on Twitter earlier this year. She lives with her wife and son in Wales, and she blogs about everything from the funny side of parenting to what life as a member of the LGBT community is like. 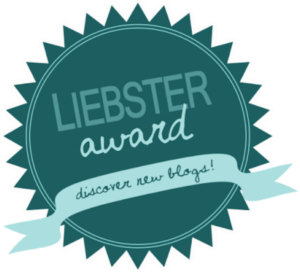 The Liebster Award is given out to small blogs on the Internet that deserve more recognition. They’re used to thank bloggers for their hard work as well as to introduce audiences to new bloggers they may enjoy. The rules for nominating someone for this award and accepting it are spelled out here. When Bread nominated me, she included a list of questions that she wanted me to answer. My replies are below. Why do you use to blog? I started blogging because I truly enjoy the instant feedback you can get from publishing a post and because it keeps me in the habit of writing in general. I don’t have any animals at all. I’m allergic to many common pets, including cats and dogs. When did you last have a pizza? The last time I had pizza was last night. My spouse wanted a treat, and I agreed with him that it was a good idea. What was your favourite television show as a kid? My family didn’t own a television at all for a few years of my childhood, and for several other years there we had a television that only picked up the handful of channels you could get if you didn’t have cable. I watched a lot of PBS documentaries back then. Once we signed up for cable, my favourite show would have been Total Request Live on MTV. I enjoyed seeing which music videos made it to the #1 spot each day. The best blogging advice you’ve received? Always proofread before hitting publish. How would you spend a big lottery win? I’d give away some of my winnings to family members and charities, but other than that I’d spend it carefully and slowly. My current minimalist lifestyle suits me just fine. There are very few things I’d have any interest at all in buying even if I did have the money for them. What is the best pie filling? Lemon meringue. It is so light, tangy, and fluffy. If you could, would you be famous? Being wealthy would be nice, but fame isn’t appealing at all. I’ve seen the way famous people are built up and then torn down by the media. I’d want no part of that lifestyle. 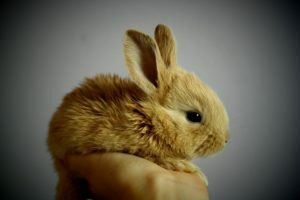 If I had a Patronus, it would be a rabbit without a doubt. What else did your parents consider calling you? Phillip was the name they’d tentatively chosen for a baby boy. I believe they may have also briefly considered giving me names like Lorelei or Hanalore to honour our German heritage, but they ultimately decided that Lydia would be easier to spell and pronounce. If we’d lived in Germany instead of North America, I wouldn’t be surprised if my parents had gone with much more Germanic names for their children in general. They seemed to like them. What is the most creative story, poem, song, or other piece of writing you’ve created so far? Where, if anywhere, do you volunteer? If you don’t currently volunteer, where have you donated your time and skills to in the past or hope to donate them to in the future? If you could only watch one genre of movies for the rest of your life, which genre would it be? Do you have any hidden talents or surprising hobbies? If so, what are they? What is the furthest distance you’ve ever traveled from home? Why did you go on that trip? Which do you prefer: sweet, salty, sour, or savoury snacks? Why? How many languages do you speak? Which languages are they?